Addicts are all around us. Christian theology teaches that we are all sinners and we are all prone to all kinds of failures, problems, and sins. While we may not all be substance abusers there are still many ways in which we can relate to one another and find solidarity in our similar, if still distinct, struggles. 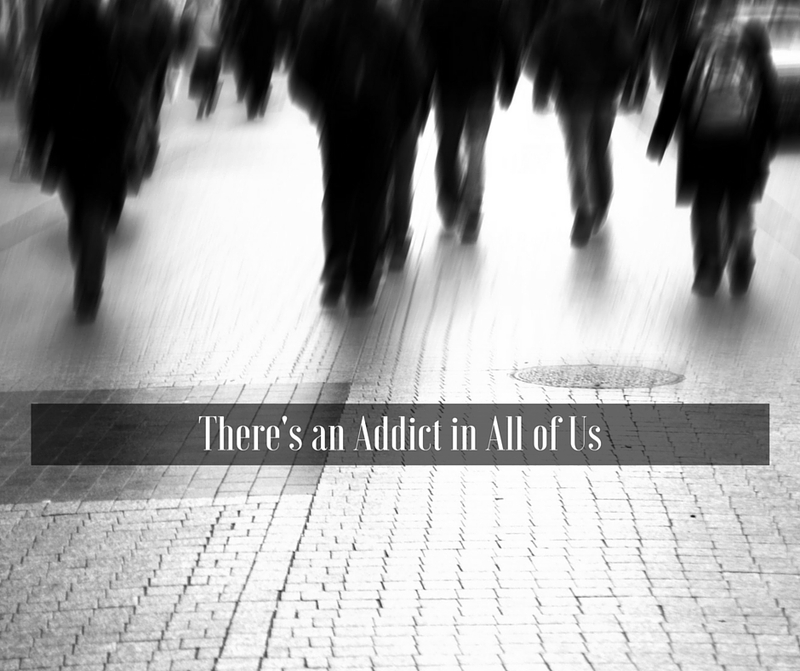 We are all prone to addictions. The characteristics I have discussed in this series are part of what is some times labeled the “addictive personality.” There is an argument in addiction research that suggests individuals with a certain collection of characteristics are more at risk for developing addictions than others. I am not convinced by this line of reasoning. In fact the existence of the addictive personality is one of the common internecine debates within addiction studies. For some it denies the existence of free will and the responsibility of individuals. For others, it undermines the biochemical component of addiction. For still others it is just too simplistic in terms of an explanation to be helpful. All of these criticisms are fair and, I believe, accurate. The Trans Theoretical Model of Behavioral Change has actually demonstrated quite compellingly the complexity of becoming addicted. This model demonstrates the many intermingling layers of development that take place across various stages to bring someone into full-blown addiction. Furthermore, this model has compellingly demonstrated that many factors can lead to addiction apart from the immediate influence of these characteristics. The vast array of individuals, from divergent life situations, can become addicts. Simply put, research on the diversity of addicts and types of addictions does not support the validity of the addictive personality. Furthermore, and this is the point I have been trying to make in this series, “addictive personalities” reside in all of us. The primary traits that people focus on in regard to the addictive personality, are common to us all in varying degrees. We all want power and control at some level; we can all be impulsive or emotionally imbalanced; many of us give into the temptation of extremes (all-or-nothing). These and many other characteristics are common to humanity, not just to a subset of people. We share in these common temptations and inclinations. This is why addictions strike so many different people at so many different stages of life in so many different contexts. Addiction knows no boundaries in this regard. We can all become addicts; we are all already addicts at some level. It is of paramount importance that the church see and understand this reality. The average church member is not that different from the addict. We tend to think we are. We tend to elevate certain sins to levels of higher immorality and distance ourselves from those we consider to be particularly “bad” people. We have “respectable sins,” Jerry Bridges says. But the Bible does not have respectable sins, nor does it distinguish between sinners. “For all have sinned,” Paul says, “and fallen short of the glory of God.” To borrow the old cliché: the ground is level at the foot of the cross. The sooner the church understands, accepts, and lives out this truth the sooner we will be on our way to becoming Recovery Culture Churches.